INTJ’s welcome input – criticism isn’t taken personally since they are striving to improve the process. They are open to changing their opinion. Do not let their aloof demeanor put you off – they are generally so wrapped up in working through ideas and concepts, the appearance of being inapproachable is deceiving. Be concise and to the point. Repetition and insignificant details will cause the INTJ to lose interest. In a nutshell, don’t hesitate to approach an INTJ if you have a suggestion to improve the process. That is what we want to know, to hear about. If it is a good idea, we will welcome the suggestion. Because we are always looking for a better way to do things and don’t mind input, we gladly give feedback if asked. So if you don’t want an honest opinion, don’t ask an INTJ for one. You won’t get a sugar-coated answer. And forget the rhetorical questions – we’ll answer them for you if you ask them. About a year ago, a new acquaintance sent me a copy of his proposal for his MBA project, and asked what I thought of it. Silly me, I thought he wanted my opinion, not his ego stroked – so I gave him the benefit of my knowledge from graduate school, years of writing successful proposals, and management. Nope. He wanted to hear that it was great. He is still trying to “one up” me and I want no contact with this person. 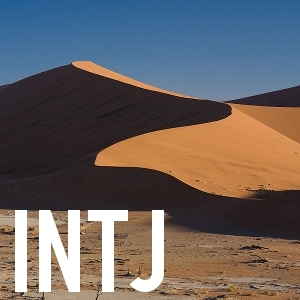 Please keep in mind – an INTJ knows what they know, and they know what they don’t know. I’ve considered that possibility, however, having taken the formal test in 2 different settings I have to agree with the outcome. I’ve learned, however, that some traits do not translate well on other testing and I’ve had to get the administrator to review MBTI data/results. So glad it’s not just me! Great post for another INTJ to read and realise that we’re not totally mad! I was wondering, what kind of adventure it would be to explain your ideas to someone, when you know its of no use, they will not get it until its diluted to the limit where you will loose interest in the idea. Have you faced anything like this. Ah, yes, I have done this. It depends upon what is involved – what will happen if I DON’T follow through with what I know is the right action? If there is minimal consequence, I don’t waste my time. If there is a significant impact – to the company, society, etc., then I continue to state my case, to them verbally, in writing. Copy their boss. Discuss it with anyone that will listen. Ultimately, best case, the change is made. Lives can be saved and millions of dollars, also. I would be glad to discuss a specific circumstance privately, if you like. For all my INTJ-ness, I can still be sensitive taking criticism, though I’m much better than I used to be. But that aloofness? It took me a long time to figure out that that’s the perception people can have of me. But really, I’m the opposite. I guess I’m just so deep in thought, that I come off that way. Certainly not my intention! I understand about the criticism issue. Having said that, I can distinguish now when someone is criticizing ME vs trying to improve the process. (ie, the supervisor highlights 2 typos in a memo, and copies the entire group on it. That is personal and does not accomplish anything – except make me lose respect for her as a competent supervisor.) The revelation of coming off as “aloof” came from the class I took. I actually work quite well with people (was a counselor for many years) and in sales/management. My downfall, is believing that everyone wants to improve the process and see the best possible outcome. Needless to say, my niche is not in a governmental (or private sector) position where mediocrity is an acceptable goal. It’s funny how I can be outgoing on a professional level but quiet and uncomfortable on a social level. But having read Susan Cain’s book on introverts, I now understand that’s common for many of us. PS love the new format, snazzy! Thank you 🙂 Was going for a Halloween look and this is what I ended up with. It shows up rather muted on my pc vs my daughter’s, esp the print – not sure why. Thanks! 😀 You made my day! Anyways any plan on expanding it to a series, something on how we should improve our interactions with others? How we can work on the differences and understand the others point of view ?….Because You said this to the point “what they don’t know, they can generally learn very quickly” whats your say? Yes, most definitely – we can work to recognize other types and “flex” our behavior to accommodate. The medical school I attended for my master’s degree provided this training for all the professors – the person in the position of authority should “flex” to the other person. I took a leadership course utilizing the MBTI results and found it to be very beneficial. Could you please clarify what you are asking in your last sentence?